A speedometer on your Android Phone. Want to check the accuracy of your car’s speedometer? Is your speedometer broken? Just want a really cool app that shows your vehicle’s speed, direction and altitude or a way to limit your speed? Pucktronics Speed Meter fulfills all those needs and more. Multicolored (rainbow) speed display or your choice of one color if set. Easily set a Speed Warning/Alert with the touch of the screen. 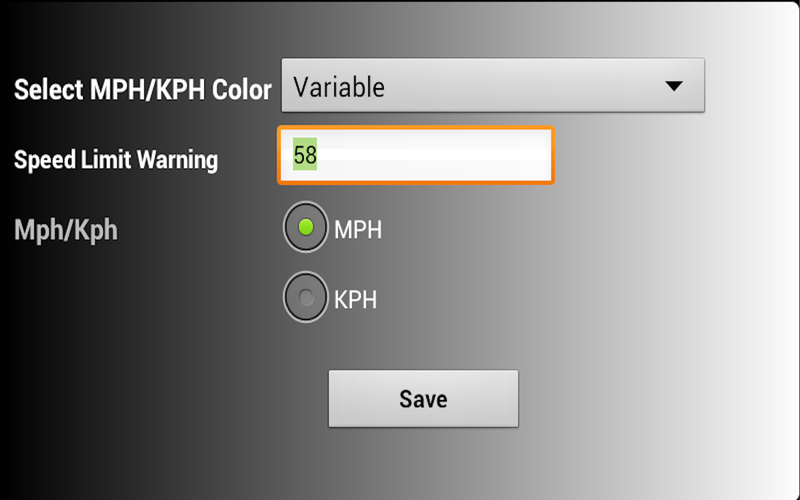 Displays the Maximum Speed you have driven. 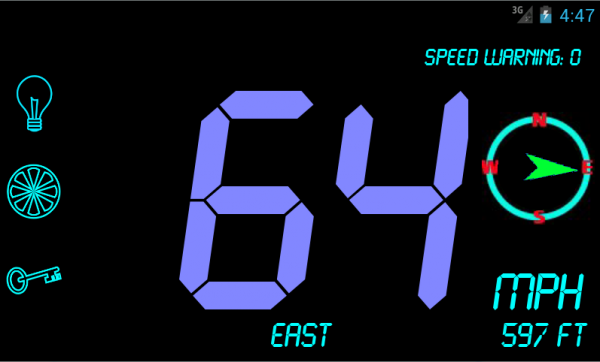 MPH or KPH easily set by touching the screen. Direction indicator (graphical and text display). Uses your GPS system for accuracy. *Note – Not designed for tablets. Designed for cell phones with GPS. Sometimes when you buy new tires, they may be a higher or lower profile than what your vehicles speedometer is set for. This makes your speedometer show an inaccurate speed. Use speed meter to see if your current speedometer is displaying an accurate speed or not. If not, use Speed Meter to show you the correct speed. Use the Speed Warning/Alert to help keep you from getting traffic tickets by setting an alert to go off if you go above a particular set speed. The Max Speed can prove you never went over the speed limit if the policeman believes your max speed display. 🙂 Not factual evidence in court however. 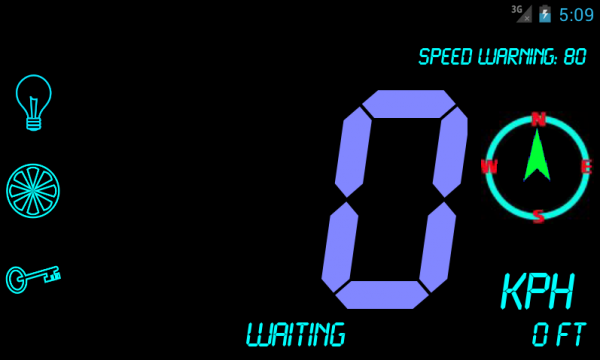 If you have an offroad vehicle, use Speed Meter to see your speed.